After watching movies all night on the Singapore Airlines flight, sleep was the natural outcome. 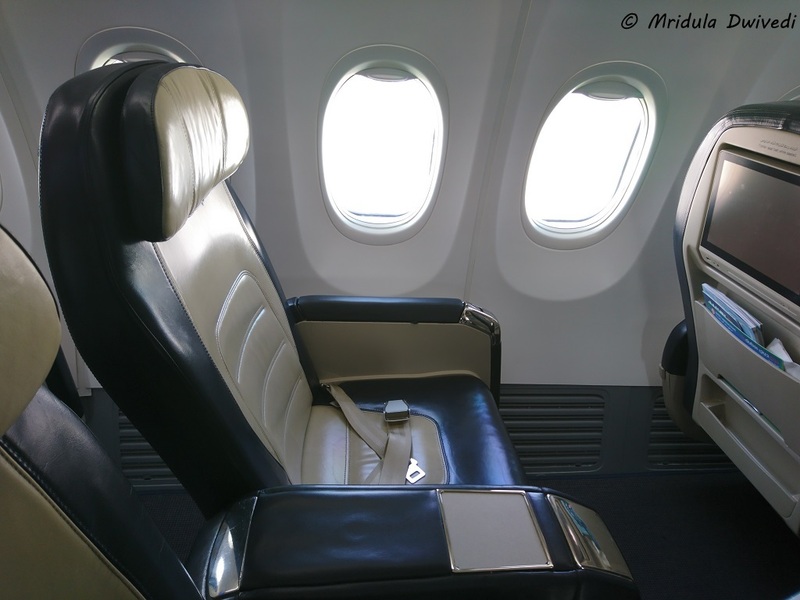 I boarded the Silk Air Business Class flight from Changi, Singapore to Kota Kinabalu in Sabah, Malaysia. To begin with I didn’t had a window seat. But as a window seat was empty next to Nisha (our team member from Silk Air) I happily hopped on to it. I could barely keep my eyes open even before the take off. I took a few pictures while the plane gained height. On our flight to Kota Kinabalu, which was of two hours duration, the business class has 2-2 configuration. And then I shut my eyes. And I could barely open them even when the descent started. 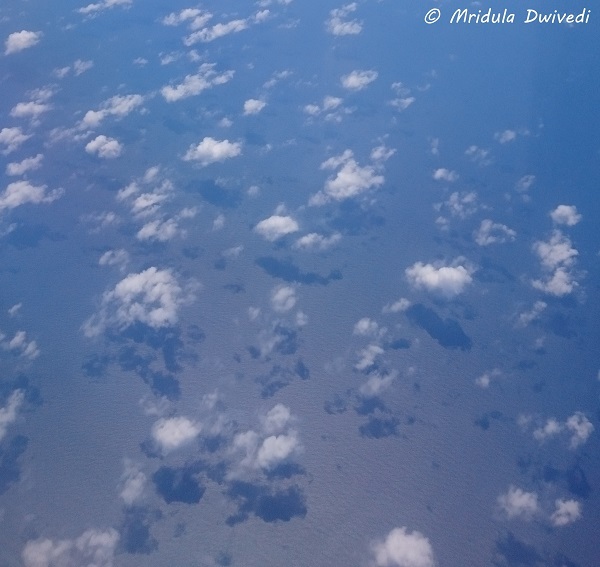 As the descent is over the sea, I had that strange feeling when you see a lot of water around and no land in sight! But there was plenty of runway for the aircraft in the end. 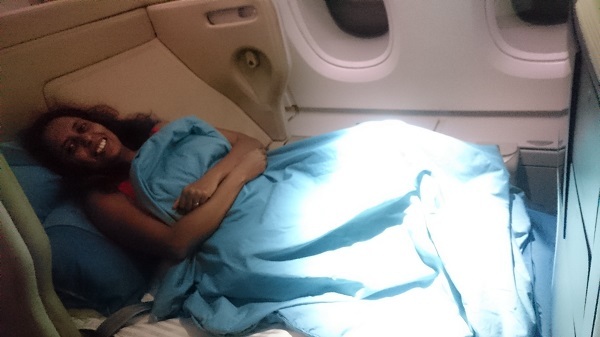 When I started walking out of the plane, the two air hostesses giggled, “Hope you had a good rest.” So that is how my first leg with Silk Air Business Class went, me sleeping through most of it! But I made up for it on my return flight. I was wide awake from the time I entered the aircraft to the time it landed at Changi, Singapore. The seats on the medium haul flights are large but they don’t become flat, and I can see why. On a two hour flight there is no use of a flat bed. By the time the meal service ends, it is time for landing. 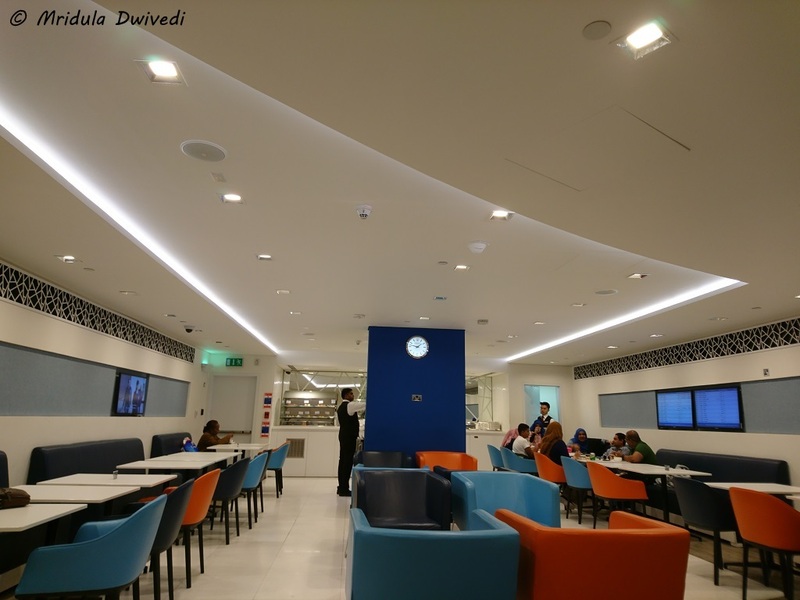 You have the access to the lounge if you are a business class passenger. The food service started once we were at the cruising height. It followed the elaborate tablecloth, drinks, food routine. I wonder how could I sleep through it all while going to Kota Kinabalu. No wonder the air-hostesses were giggling when I got out. On the regional route (like Singapore-Kota Kinabalu) they may not always have vegetarian food. I managed with bread, butter, fruits and wine. However, the lounge buffet always had something vegetarian. So if you have a lounge access and you are a vegetarian it is better to eat at the lounge. 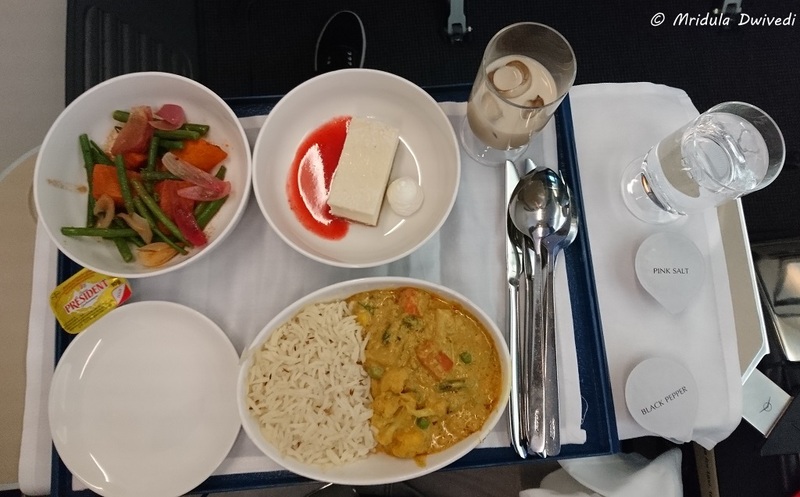 Flights connecting to India have vegetarian options. The wine was excellent. 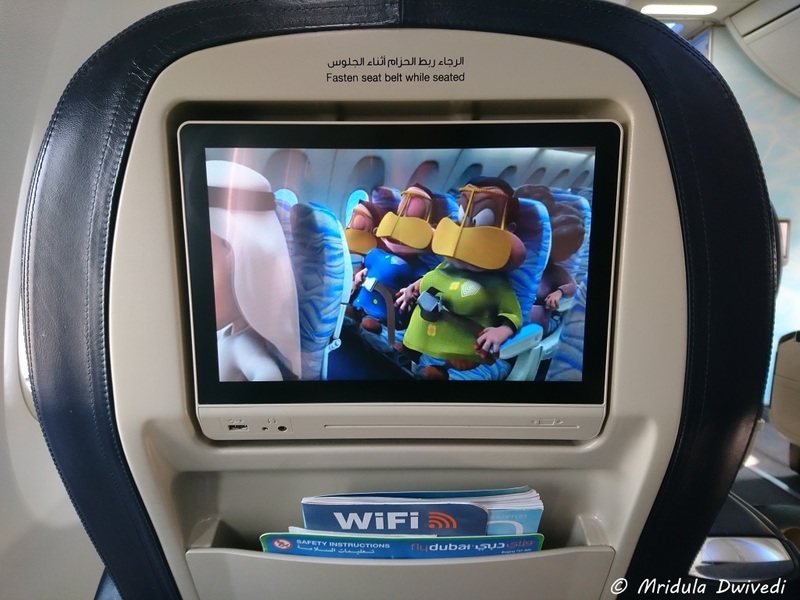 In the business class, there is a Lenovo tablet in the seat pocket which you can use to connect to the in-flight entertainment system. 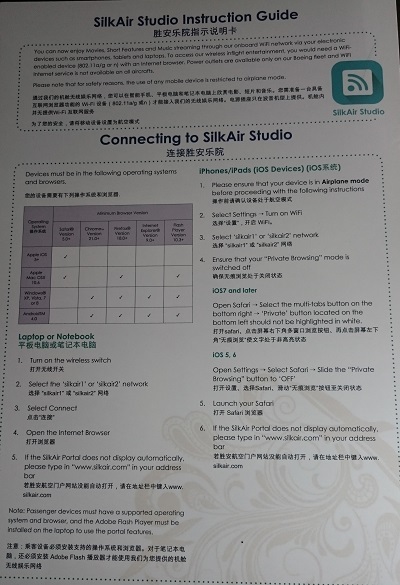 It is called Silk Air Studio. I connected it using my cell phone. I could download the App using one of the WiFi networks on air. Then I watched a movie called 7 Things to Do before I’m 30. The flight landed before the end of the movie. I hope I will watch in on some other flight again. Next time I will look for the App and start watching a movie early on. This time I started quite late. The business class had priority boarding on both the airports. Silk Air has an extensive network on flights connecting exotic destinations in Asia and Australia. 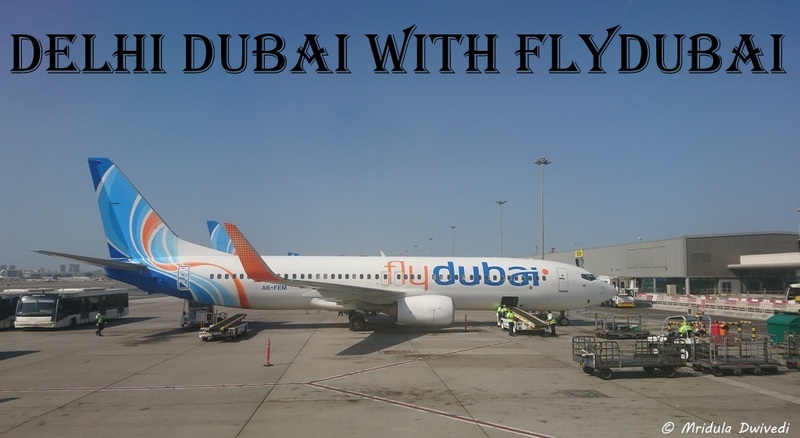 They operate from Chennai, Bangalore, Kochi, Hyderabad, Coimbatore, Kolkata, Trivandrum and Visakhapatnam in India. 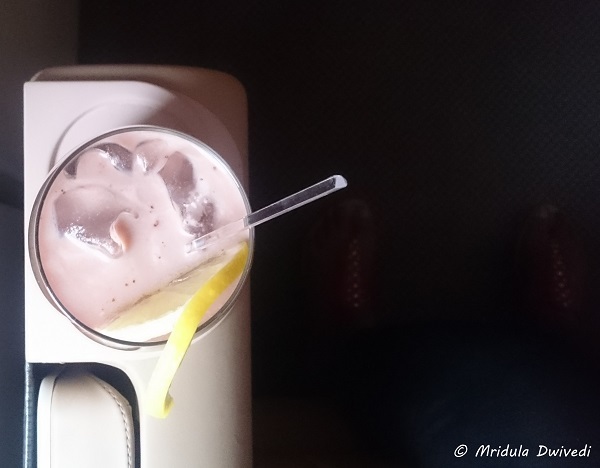 Overall, it was fun to fly business class with Silk Air and Singapore Airlines. PS. I was invited on this FAM to Kota Kinabalu, Malaysia by Silk Air. This year I have taken many flights. Last year I took even more flights. I know the drill, more so at T3 or 1D in Delhi, my home base. I can do it on auto-pilot, I don’t need to think much. So, I stood in line of the Singapore Airline counter this Monday and waited my turn. It came quickly. And then things started happening which lead to my first ever Singapore Airlines Business Class experience! Suddenly my familiar drill had gone for a toss. 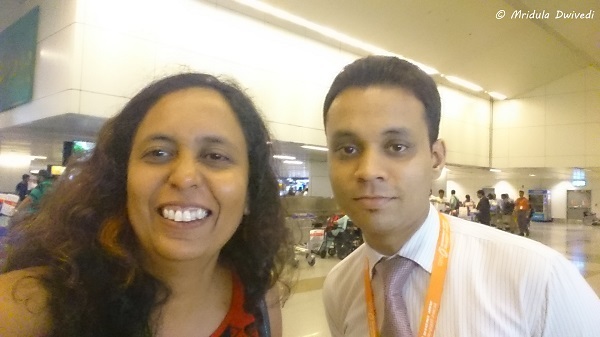 I asked Aman after a while, “Can’t I go on my own?” He replied, “ma’am I will walk with you up to the lounge.” The trouble was I needed to fill the immigration form and change currency. I almost always end up changing currency at the airport. Usually I arrive in quite early so it is never a problem. But I didn’t wish to waste the time of an employee. The queue at the exchange counters was long. I decided to withdraw money from an ATM in Malaysia. I have done it before, I could do it again. Aman and I proceeded towards the immigration. There was only one person ahead of me in the first/business class counter! I was out of immigration and security in jiffy. 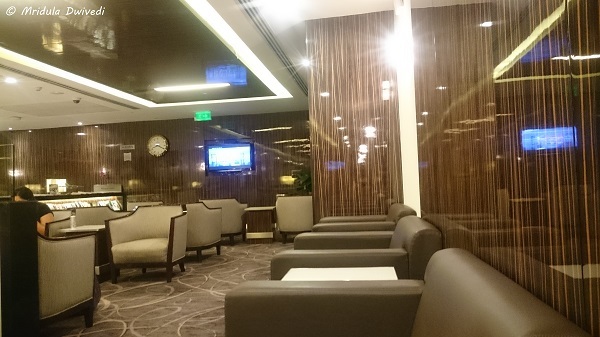 And then we went to a part of the airport that I never ever venture otherwise, the lounge area. Aman dropped me at SilverKris Lounge. He told me he would be back at the time of boarding. I think this is not normal procedure, but as this was a Silk Air/Singapore Airlines FAM, I am guessing that I got this special treatment. I had a bit of ‘Alice in Wonderland’ kind of feeling. As I had checked in early, there were hardly any people in the lounge, however it got quite full later. There was complimentary WiFi which was fast. I made good use of it. I updated my status on FB about my first ever business class travel on any airline ever! 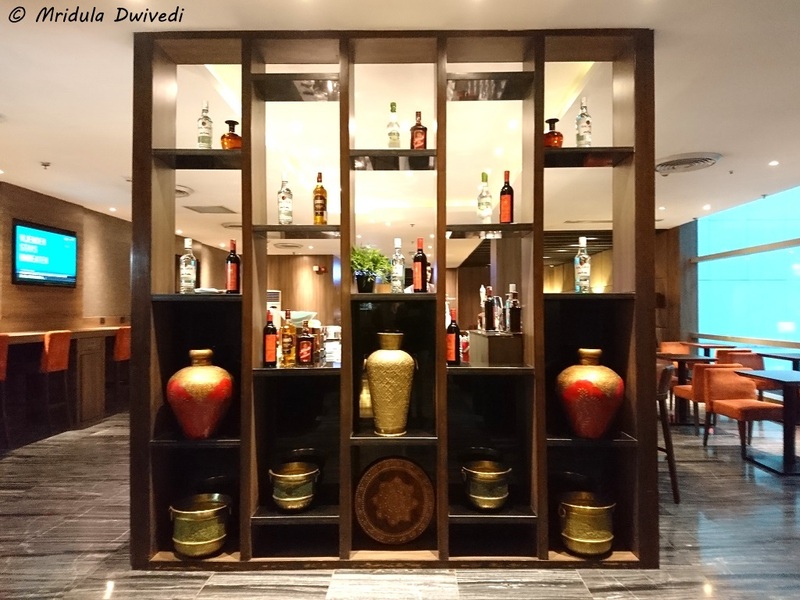 There was a dining area in the lounge which had dinner, tea, coffee, snacks and drinks both alcohol and soft. I had several cups of tea with a bit of makai kabab and veg Manchurian. 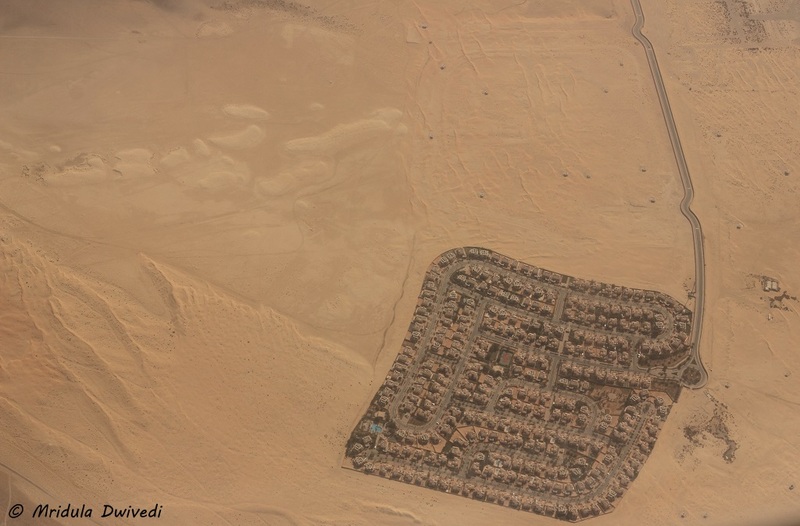 I used the time to complete an article I had promised to someone. I barely managed to finish it when Aman came back, telling me the flight was boarding. 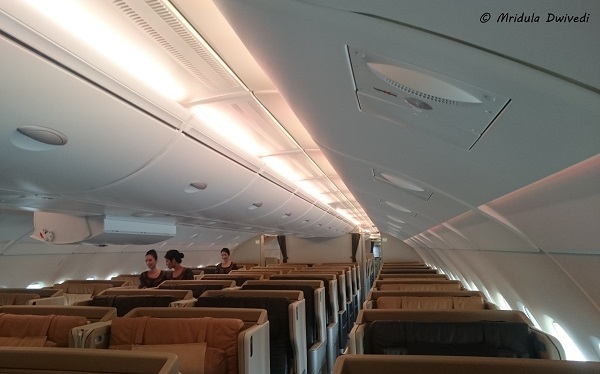 I had priority boarding to the upper deck of the A380-800, as that is where the business class is. 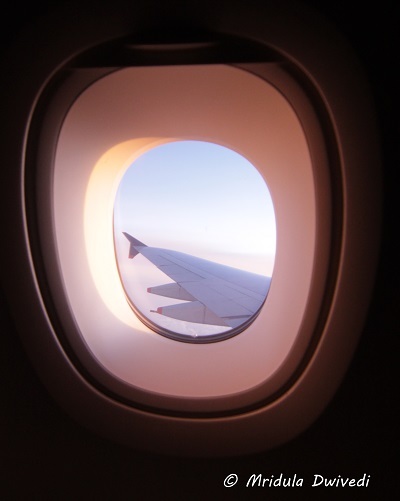 I had a single window seat which was as large as three economy class seats. There were two seats in the middle and one more at the other end of the aircraft. So the configuration is 1-2-1. Needless to say my seat was large! It could easily accommodate two people, and three if everyone followed “thoda adjust kar lo” (please adjust a little) attitude. I touched every knob in order to figure out what it did. There were side compartments for light luggage like hand bag and ample area to stow away my laptop bag in front of the seat. But try as I might, I could not figure out how to switch on the TV screen. I had to ask the air hostess in the end. The remote is beneath the right hand side arm rest, under the flap. As we boarded first there was ample time for the crew to serve drinks. I missed out on it as I went to use the wash room. But I was served Champagne as soon as the plane was at the cruising height. On the flight back, I was served Champagne even before the flight took off! There are plenty of choices, it is just that I took Champagne. After all the first ever business class flight called in for some celebrations! 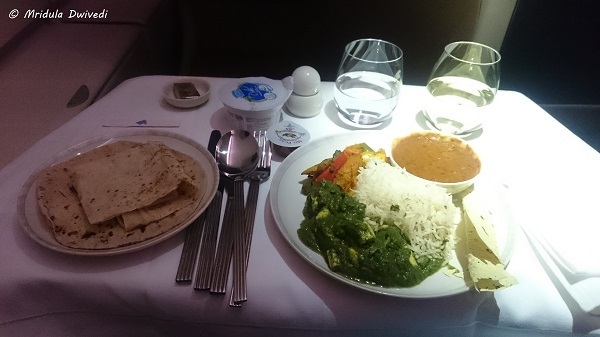 I was remembering the conversation I had at the Singapore Airlines Shahi Thali event a few weeks back- that an A380-800 if full becomes a 500 seat restaurant! And in business class they literally do it like it is done in the restaurants. When you open the tray by pressing a lever on your left hand corner, the cabin crew spreads a table cover over it! Then came the starters, the main course, papad, curd, pickles, two vegetables, daal, rice, roti, bread, butter and forgive me if I forgot anything, served in proper plates and bowls. This was accompanied by a choice of your drink, I went with white wine. When the pretty lady gave me a few names of wine which made no sense to me, I smiled and asked, “What would you recommend?” She asked if I wanted dry or not so dry wine. When I said not so dry she bought me something which tasted delicious. After this there was dessert, Gulab Jamun in a mango base and then cheese and fruits. As the good lady had told me where the remote was, I was already watching ‘The Mansion of Gods’ an Asterix movie. After the Meal was over the lady asked me if I would like my bed to be made? I happily got out and left the task to her. And lo and behold, my already large seat became a flat bed! I asked her to click a picture for me which she happily did. But then I am so used to watching movies that I could not fall asleep even though I really tried. After struggling for sometime, I watched Tanu Weds Manu Returns. After that I must have dozed off for what felt like 15 minutes but the plane was ready to land. The bed was folded once again. I snuggled in my blanket trying to rub off sleep from my eyes. The hostess came and told me to wait after the plane landed, they would assist me at the terminal! And sure enough there was a lady waiting for me who took me to the Skytrain which went to terminal two from where I was taking the Silk Air flight. I was in business class on the Silk Air flight too but I it is in a separate post. On my return flight, I was already familiar with some of the business class procedures. 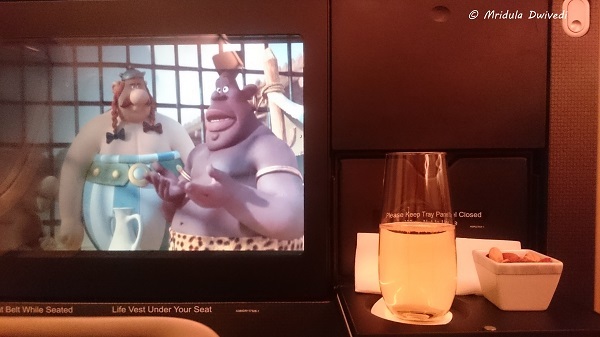 I enjoyed my Champagne even before the flight took off. They asked if I wanted a refill which I politely declined, all before take off. Once the plane was at the cruising height, the service started again. I asked for a Milo and Bailey’s based drink called SG50. I was not so sure about Milo but I like Bailey’s. I liked the drink, so much so, that I asked for a refill. Three glasses of any kind of alcohol are my absolute limit and I stuck to it. My feeling is that they would have given me more refills if I cared for. 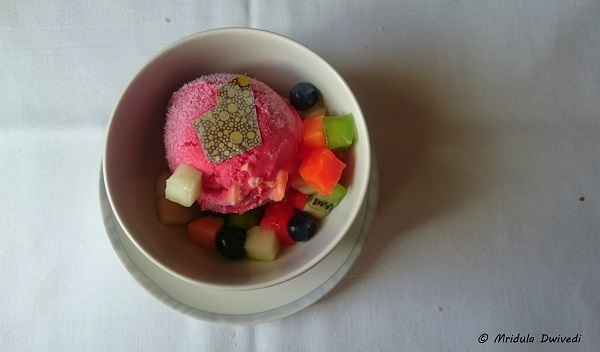 The food followed the same procedure as before, only the dessert was a choice between chocolate or raspberry ice cream. I could not finish all the food, the air hostess was quite concerned that I didn’t like it. I told her that it was too much for one person like me. I think she was somewhat pacified by my explanation. 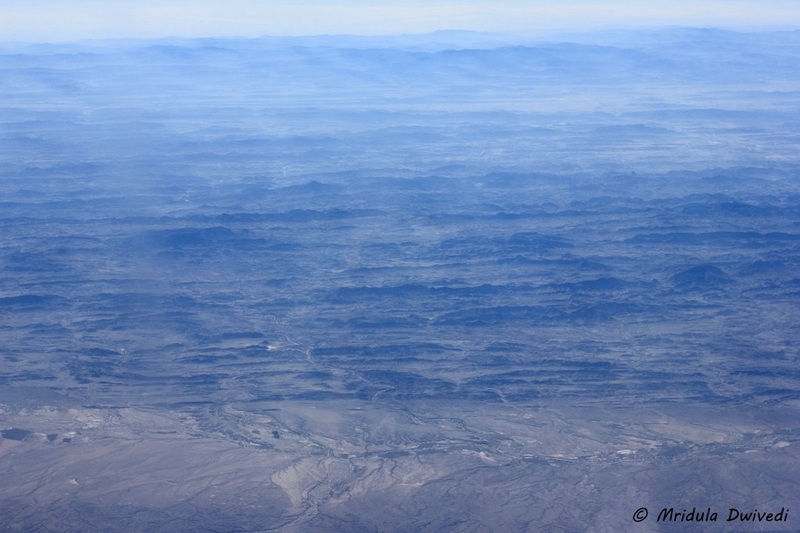 As it was a day flight, I had a cup of coffee and two cups of tea instead. That is what actually I like. I would have actually stopped at one coffee and one tea but at one point I asked for a blanket. The charming lady then suggested if I would have something hot to drink as well. That is how I asked for a second cup of tea. In Dwivedi family a hot drink means tea and no one says no to it! I watched Dum Laga Ke Haisha and Get Hard on the return leg. There was a glorious sunset in the sky, which was the icing on the cake. 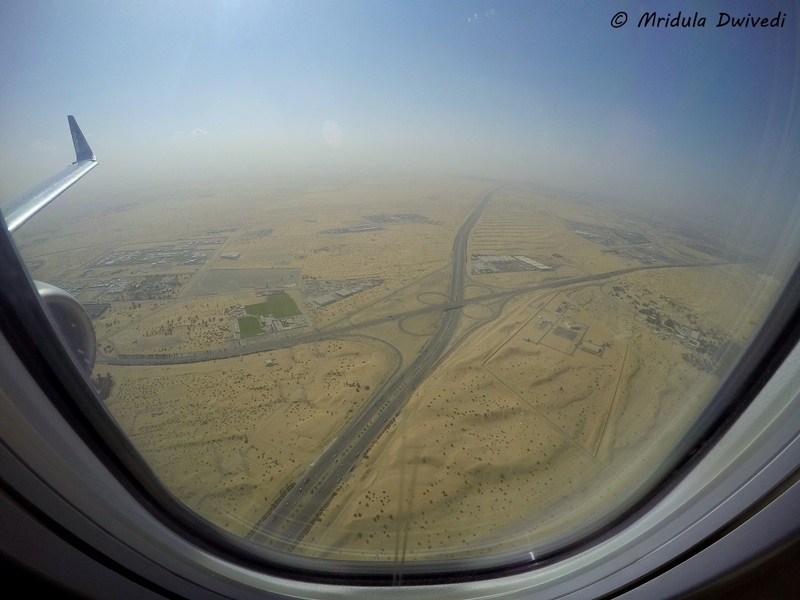 As the plane made its descent eventually and landed, I was all eager to get out. And to my surprise there was Aman to see me back to the exit gates! I cannot remember when I was pampered like this on any flight ever. Thank you Singapore Airlines for making my first ever business class journey so memorable. PS. 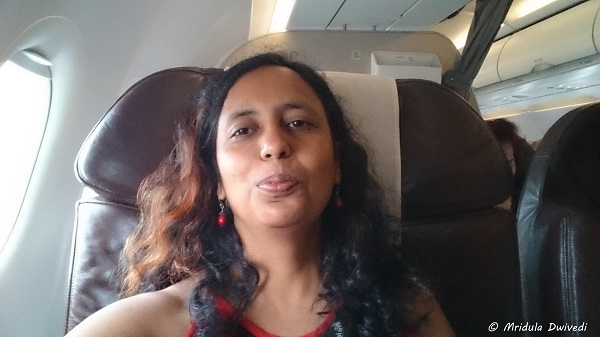 I was on a Silk Air/ Singapore Airlines FAM to Kota Kinalabu, Malaysia. PPS. All configurations I talked about are of an A380-800 on the Delhi-Singapore-Delhi sector.